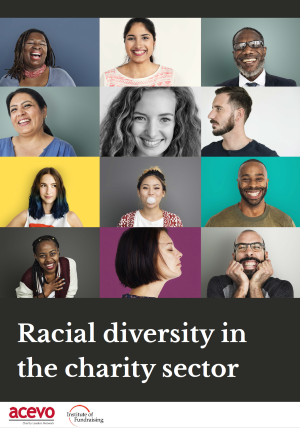 ACEVO, the Association of Chief Executives of Voluntary Organisations, and the Institute of Fundraising (IoF) have published a report on racial diversity in the heritage sector. The report highlights that the voluntary sector is failing to accurately reflect ethnic diversities in its employees. ACEVO’s Pay and Equalities survey 2018, for example, found that only 3% of charity CEOs were BAME. The report offers guidance on best practice recruitment advice and calls for civil society leaders to sign up to its eight principles, which aim to combat the lack of ethnic diversity in charity leadership. Acknowledge that there is a problem with racial diversity in the charity sector and commit to working to change that. Recognise the important role leaders have in creating change by modelling positive behaviour and taking action. Learn about racial bias and how it impacts leadership decisions. Commit to setting permanent and minimum targets for diversity that reflects the participants, donors, beneficiaries and the population of the area that my charity operates in. Commit to action and invest resources, where necessary, in order to improve racial diversity in my charity. View staff as the sum of many parts rather than a single entity and recruit to build a diverse group of talented people collectively working towards a shared vision. Recruit for potential, not perfection. Value lived experience, the ability to draw from one’s lived experience and to bring insights to an organisation that can develop its work.